Stationary bikes are there since a long time. They have brought a revolution into the exercise industry with individuals spending hours riding stationary bikes while at the same time watching TV or reading books. A stationary bike is an excellent method to exercise comfortably and conveniently, particularly in the peace and comfort of your own home. But do they help you lose weight? A workout with exercise bike is among the best methods for weight loss. You will start burning calories immediately; however, it is imperative to make a plan of your workouts so that you can get maximum benefits of weight loss in the long term. Though biking more intensely will make you lose weight more quickly, but you must begin slowly and increase your workouts after there is improvement in your physical fitness. When your heart beats at 35-54% of its maximum rate or 225 beats per minute minus your age, then you are considered to be riding your exercise bike lightly. It burns 475, 388 and 325 calories in an hour if your weight is 190, 155 and 130 pounds respectively. You shed one pound after burning 3,500 calories. Hence, a person weighing 130-pounds riding an exercise bike lightly will shed one pound in around 10.8 hours (3,500/325). Similarly a person weighing 155 pounds will shed one pound in around nine hours or slightly more and a person weighing 190 pounds will shed one pound in around 7.5 hours. Are exercise bikes effective for weight loss? Yes. When your heart beats at 55-70% of its maximum rate, then you are considered to be riding an exercise bike moderately. It burns 605, 493 and 413 calories in an hour if your weight is 190, 155 or 130 pounds respectively. Hence, a person weighing 130 pounds riding an exercise bike moderately will shed one pound in around 8.5 hours. Similarly a person weighing 155 pounds will shed one pound in around seven hours or slightly more and a person weighing 190 pounds will shed one pound in around 5.8 hours. When your heart beats at 70-90% of its maximum rate, then you are considered to be riding an exercise bike vigorously. It burns 906, 740 and 620 calories in an hour if your weight is 190, 155 and 130 pounds respectively. Hence, a person weighing 130 pounds riding an exercise bike vigorously will shed one pound in around 5.6 hours. Similarly a person weighing 155 pounds will shed one pound in around 4.8 hours and a person weighing 190 pounds will shed one pound in around 4 hours. This answers your question "Are exercise bikes effective for weight loss?" The intensity of your workouts on exercise bike should be increased slowly. If your age is less than 50, then your heart rate after exercise shouldn’t be more than 140 per minute during the initial three weeks of your workout and it shouldn’t be more than 150 following that. If your age is greater than 50 years, then your heart rate after exercise shouldn’t be more than 100 during the initial three weeks of your workout and must be lower than 120 during the following five weeks. Moreover, it should never become greater than 130 beats per minute. You should ride your exercise bike slowly if your heart rate becomes too high. Start by riding your bike three days in a week, gradually increasing to four days in a week by the fifth week and to five times in a week a few weeks later. The length of the workouts should be five to six minutes in the first week. The length of the workout should be increased to 20 minutes by the end of three months. Are exercise bikes effective for weight loss? Yes, but sometimes riding an exercise bike may result in insignificant weight loss due to various reasons. The individual may get bored by riding a bike on a routine basis. You can alleviate this by doing other activities while bicycling such as listening to good music, watching your favorite TV shows, or talking on phone. However, it may happen that while doing other activities simultaneously, you are not exercising with a high intensity to burn too many calories. Moreover, if little or no resistance is applied, lesser calories are burned. When you are bicycling at a lower intensity, you have to increase the length of the time spent on exercising. Only the lower body is working while doing exercise on a stationary bike. Although fat and weight loss occurs evenly in the whole body, it may be less visible on the upper part of the body in comparison to the lower part of the body. The benefits of bone-building as offered by high-impact exercises such as running are not offered by biking since you are sitting. It’s easy to cheat on an exercise bike in comparison to a real bike. You can avoid hills, peddle slowly and reduce the resistance. If the seat of your exercise bike is uncomfortable, then you can end up having sore private parts and hips. To choose the best bike to lose weight can be challenging with so many exercise bikes available currently. Some bikes are equipped with different level settings so that you can train harder and improve your fitness level. Many bikes contain digital displays, which show amount of calories burned, current heart rate and the total distance travelled. Many exercise bikes are foldable so that they can be stored easily. 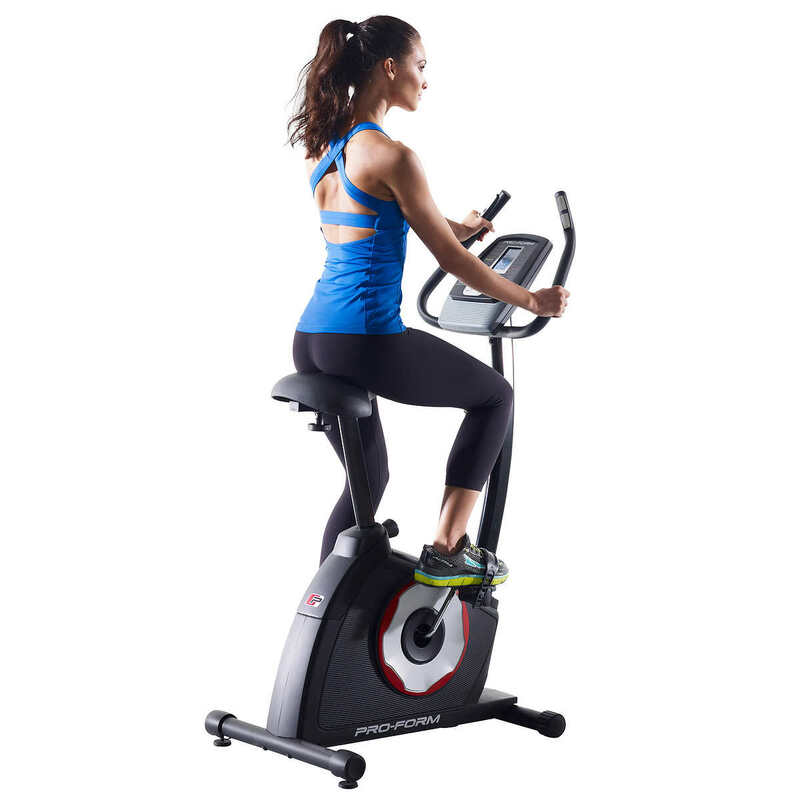 Some bikes have features to burn extra calories; for instance, there are exercise bikeswhich come with attachments that allow arm movements to work your arms so as to burn extra calories and help tone them. However, more features mean an increased price. Hence, you should choose an exercise bike according to your requirement and your budget to purchase the bike.